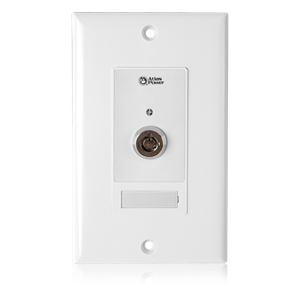 The AtlasIED WPD-KSWCC is a decor style wall plate featuring an industrial tubular key switch that activates/deactivates a hard latch contact closure. This product is designed to be used with compatible Atlas Power products that are designed to be remotely activated such as as the ECS-6RM, TSD-SEQ6, and ECS-3 sequencers. 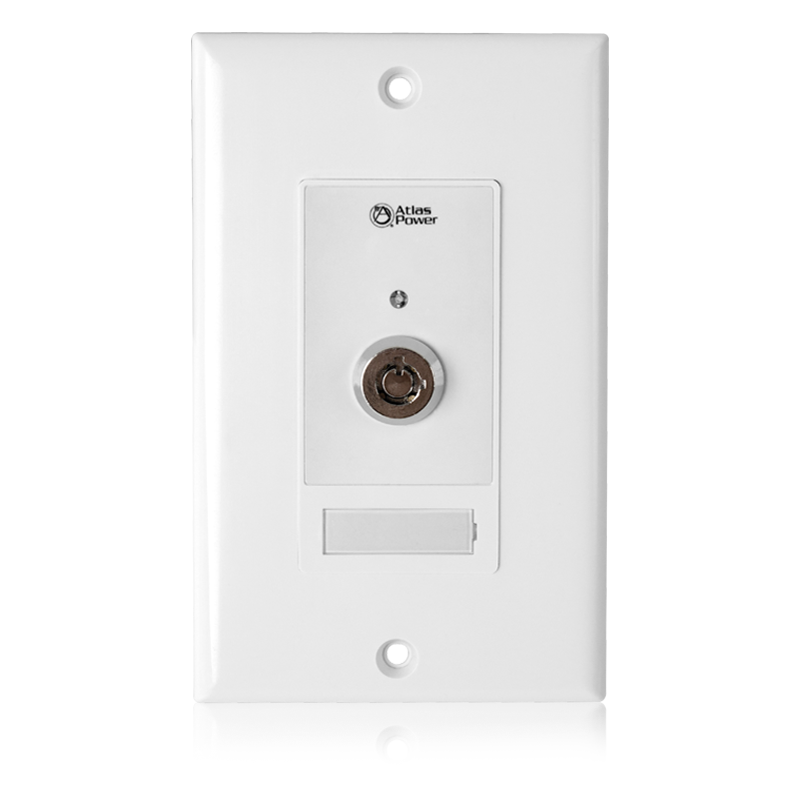 The unit is constructed of durable ABS material and includes a red LED system status indicator as well as a removable label guard for easy and clean designation of key switch function. 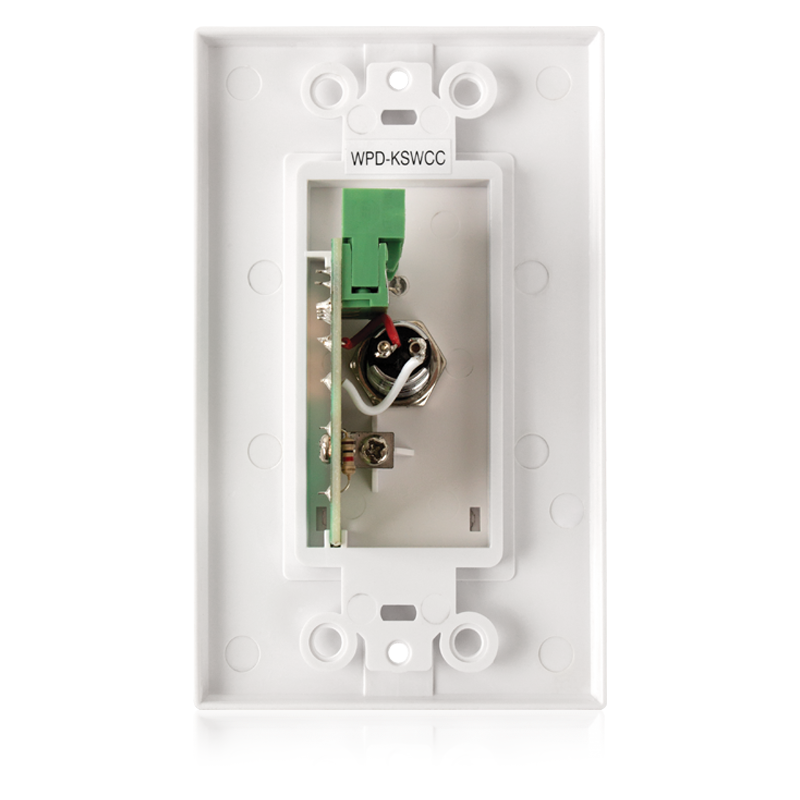 The unit has a four conductor interface connection designed to work with the included Phoenix style connector. This unit can function in remote activation scenarios up to 200 feet from the controlled unit using 22-gauge wire.